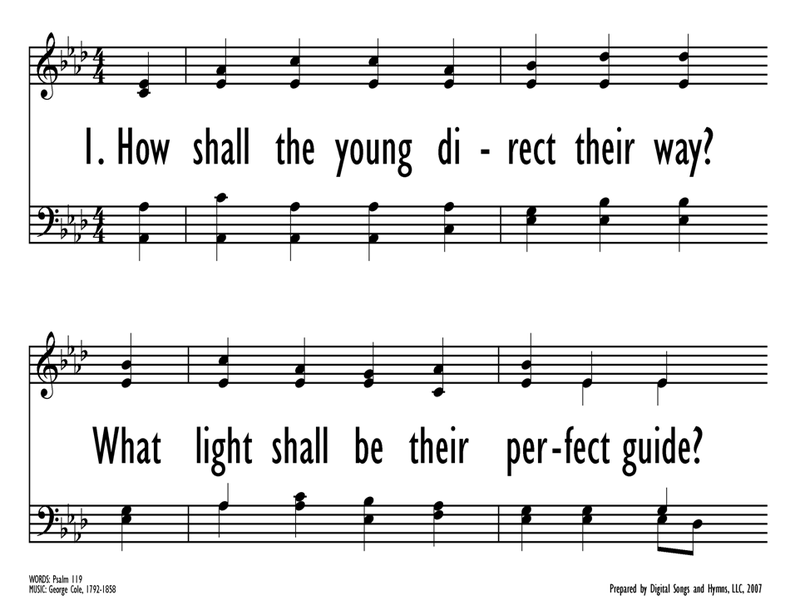 1 How shall the young direct their way? What light shall be their perfect guide? if in its wisdom they confide. your Word I cherish in my heart. and I will not forget your law. 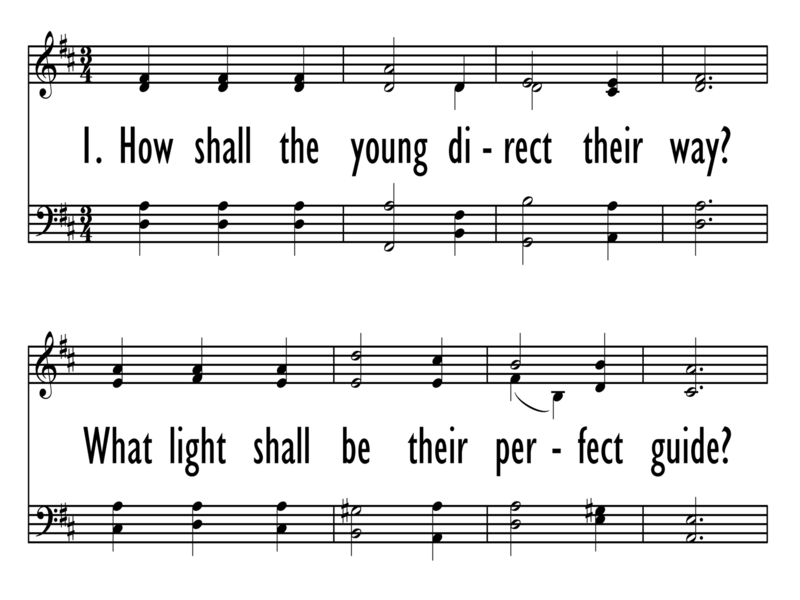 Before or after the reading of the Decalogue or another law text (consider using just st. 3-4 at this time); the entire hymn is appropriate for services that emphasize youth or Christian education. Roy Hopp (PHH 11) composed BROOKSIDE in May 1981 for use with "O Jesus, Joy of Loving Hearts" (307) at a communion service. 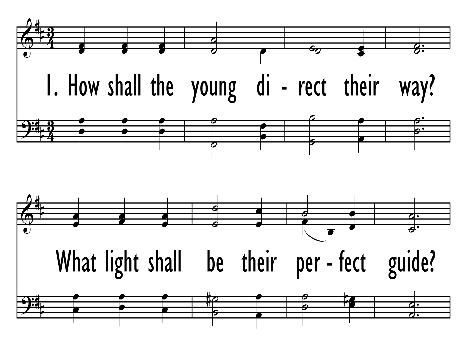 The tune is named for Brookside Christian Reformed Church, Grand Rapids, Michigan, where Hopp was choir director when he wrote the tune. 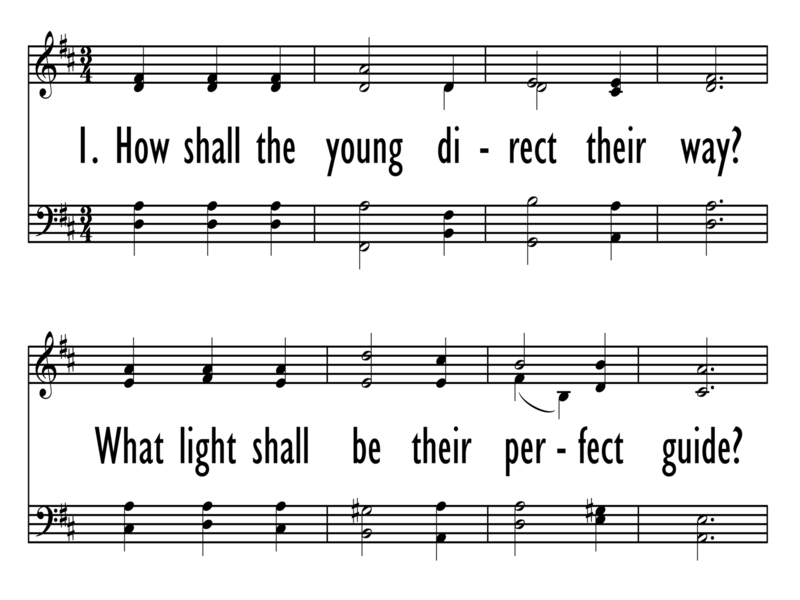 BROOKSIDE has a somewhat angular melodic contour; it has strong ascending intervals and a comforting stepwise descent in the final phrase. The harmonization invites part singing.